Netflix has offered employees unlimited, paid maternity leave & paternity leave for a whole year after baby is born. Is this a game-changer? Even if you don't work at Netflix, their new parental leave policy announced this week could change your life. Although other tech companies like Google and Facebook have generous parental leave policies, the California-based streaming service is the first to offer unlimited—yes, unlimited—paid—yes, paid—time off during a child's first year after birth or adoption for both moms and dads. Other companies, like Microsoft, are already following suit, and if the program is successful, it could prompt a nationwide increase in paid parental leave and even government mandates regulating it. But it's a big "if." The problem with unlimited leave programs is that they are too vague. Without specific rules to follow, employees may instead decide to show their worth by taking as little time off as possible. Those who use the full year may be seen, in comparison, as taking advantage of the system. "The company will need to ensure that this new benefit is strictly codified in its internal HR regulations and company handbook, as implementing policies that are too open-ended—even with the best intentions in mind—can sometimes backfire for companies if they're not managed closely," says HR expert Cheryl Swirnow, CEO of the digital health care benefits company Sherpaa. Netflix does already have experience implementing unlimited vacation and sick time. But even with strict rules, parental leave policies may not go as planned. Women could be less likely to be hired for openings, or placed on a "mommy track" and passed over for promotions, because they are seen as more likely than men to take a lot of time off for their children. One way to combat this may be through requiring dads to take leave as well—for example, Sweden has made some of its very generous government-mandated leave applicable to dads only, so if they don't use it they lose it. This is part of that country's progressive push for gender equality. Although there's no easy answer for how to achieve a fair shake for working moms, it's clear that America is lagging. The U.S. is the only developed nation is the world that has no paid maternity (let alone paternity) leave. Federal law allows for 12 weeks off—but that's unpaid and applicable only to companies with 50 or more employees. In his State of the Union address last January, President Obama argued for change on this front; now, federal employees get six weeks of paid leave. Contrary to the popular belief that generous leave policies place a burden on companies, they can actually save money and increase productivity by retaining trained, quality employees. 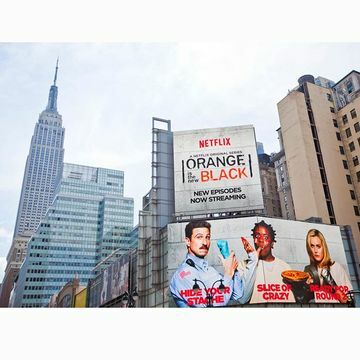 "Netflix's continued success hinges on us competing for and keeping the most talented individuals in their field," Netflix's chief talent officer Tawni Cranz said in a blog post announcing the company's new policy. "Experience shows people perform better at work when they're not worrying about home." The American work ethic has long been "live to work" instead of "work to live." With the growing recognition that we are better employees when we are happier, our society's attitudes are changing. Netflix's groundbreaking move is paving the way for a cultural shift in how we think about work/life balance in this country.